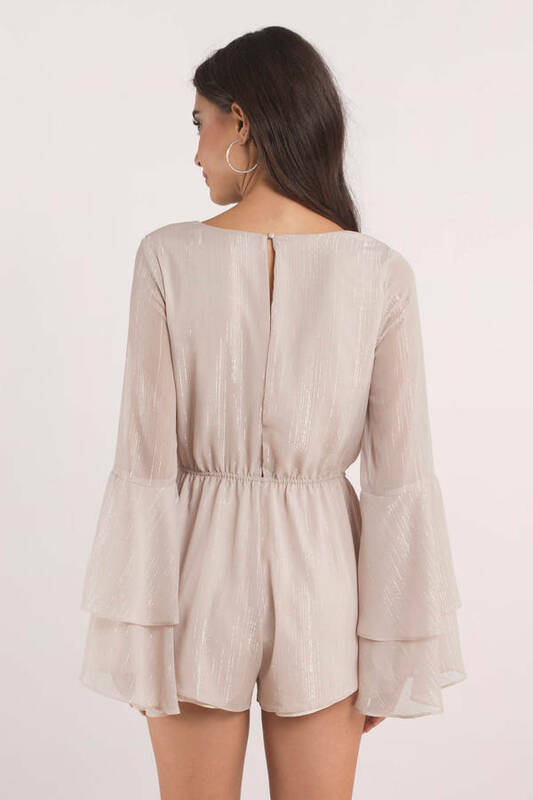 Check out Tobi's Ring Me Bell Sleeve Romper The Ring Me Grey Bell Sleeve Romper designed by Tobi features a lurex chiffon with a plunging v-neckline, surplice bodice, fitted waist and tiered bell sleeves on a sheer and lightweight polyester weave! 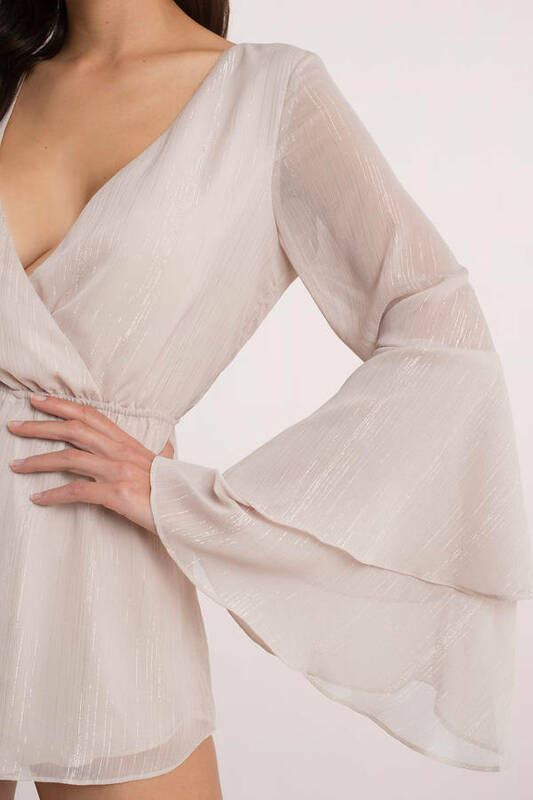 The Ring Me Taupe Bell Sleeve Romper designed by Tobi features a lurex chiffon with a plunging v-neckline, surplice bodice, fitted waist and tiered bell sleeves on a sheer and lightweight polyester weave! The Ring Me Grey Bell Sleeve Romper designed by Tobi features a lurex chiffon with a plunging v-neckline, surplice bodice, fitted waist and tiered bell sleeves on a sheer and lightweight polyester weave!